Facing Hunger Foodbank is committed to ensuring our agencies and the clients they serve have the resources they need to promote and access healthy foods. 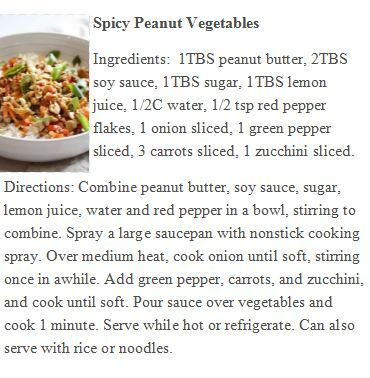 Check out our Recipe of the Month and our Food Safety Resource links! Download the Latest Facing Hunger Foodbank Newsletter! Your everyday Amazon Shopping Helps! You shop, Amazon gives. Amazon donates 0.5% of the price of your eligible AmazonSmile purchases. AmazonSmile is the same Amazon you know. Same products, same prices, same service. Support us today, by clicking the link below. Every penny counts! We can provide 7.5 meals per dollar donated. Facing Hunger can purchase food needed to provide balanced meals with your donations. We’re able to stretch each dollar so far because we maintain successful relationships with Feeding America and affiliated corporate donors, local retailers, manufacturers, and other partners. 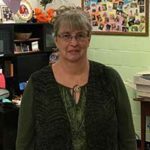 I am a retired air traffic controller from Scott Depot and I started volunteering with the food bank in March of 2017 after receiving a newsletter detailing the extraordinary work this non-profit accomplishes. The Foodbank is as close to being non-profit as you can get, with 95 cents of every $1.00 donated going directly to their programs. That is the thing that caught my attention at first, and then I learned “the rest of the story”. It has been my distinct pleasure to be able to give a little of my time to this cause. If you have some free time come on out and join me in helping out. It’s not hard work, and it will be greatly appreciated. I guarantee it. Barb is honored to be the Backpack Program Coordinator since 2000. When asked why she is so dedicated to the Backpack Program, she was very humbled with her response as tears began to form, “I do it for the kids. I just enjoy it – the kids, the work, and the community. God put me here”. “At the time the pantry opened, we had two shelves in a back closet and all of our food came from donations of the church members. 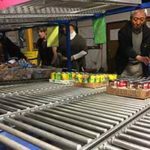 Once we saw the demand in this area our pastor reached out to the foodbank so that we could benefit as a member agency” commented Gwen Southern, Pantry Volunteer and church member. Six months after opening, the pantry now has a newly constructed space of its own with shelving, coolers and freezer space. Culloden Community Church now participates in three Facing Hunger Foodbank programs including the Commodity Supplemental Food Program (CSFP) for senior citizens. As a member of the Huntington Rotary that organized 60 volunteers providing four hours of volunteer service, the need for the foodbank and volunteers was immediately recognized. I encourage each community member to volunteer through the year. The experience will open your eyes and make you appreciate your time spent at the Facing Hunger Foodbank.